Review courtesy of Dark Faerie TalesQuick & Dirty: A slow and torturous journey into sibling boredom.Opening Sentence: The girl who would speak for the dead stood alone on the cobblestone drive after the rain.Excerpt: NoThe Review:There are very few books that I have a hard time reading; science manuals, anything recommended to me by my cousin, and this book. Why, you ask? Was it too long? Written in a foreign language? No, it was boring and too slow. I tried reading this book four times; it just went on and on and on…The premise of this book is a set of twins in 1925 that get bored and decide to start a game where they fool people into believing that they are contacting the dead through spirit knocking, a noise the girl twin can make with her ankle. Like most things, it grew beyond their small group of friends and starting garnering the attentions of a few adults and one con artist. Great idea for a book, beautifully written prose, excellent allusions and imagery but it flows like a journal written for pleasure and not for posterity.The twins, Michael and Emily Stewart, are a capricious lot. They act without thinking of the consequences; like all 14-year-olds do. Being a parent, I wanted to yell at them and their mom for the damage that they are responsible for; them for doing it, and their mom for not being more involved before it got out of hand. They may be on the cusp of adulthood but that doesn’t mean they should be left without the benefit of council. Honestly, these characters make me mad more than any other emotion.There is no true climax to this story, just a resolution to a situation. There are lots of references to family skeletons and such, and the timeline waffled back and forth between the twins’ time and their ancestors. It left me feeling cheated that I took the time to invest into this book in the first place. I would have enjoyed it more if I had nothing better to read or do with my time. Overall, The Girl Who Would Speak for the Dead holds no action or magic; it’s only a cautionary tale of a game getting out of hand.Notable Scene:“What was all that talk about never including adults, Michael?” Emily asked, closing the book. “About the risk?”“I told that to Albert, Emily”“You told everyone.”“That was before. Things have developed since then.”“No.”“Now, Em, listen, please-““No.”And so it went for a time. Finally, Michael said, “Why won’t you do it?”“Because it can only lead to trouble. And…”“And what?”“And it’s not nice. Tricking people.”“Tricking people? Em, these people want to see you perform, that’s all.”“Fine. Then let’s tell them how the trick is done. Tell them it’s a show.”“Now, Em, be reasonable. Does a magician tell the crowd how his tricks are done?”“Are we magicians now, Michael?”FTC Advisory: Penguin/Berkley graciously provided me with a copy of The Girl Who Would Speak for the Dead. No goody bags, sponsorships, “material connections,” or bribes were exchanged for my review. The only payments I receive are hugs and kisses from my little boys. First thoughts after finishing this book: Hmmm....that was interesting and creepy.What I liked about the book: the author really created a sinister, dark atmosphere. So if you're looking for that type of read this one is it. I couldn't decide if I liked Michael or not. Part of me kept thinking he was an evil, twisted child! Emily- she was born a wise, old soul. It was interesting to watch how she internalized and really thought about how her so-called "spiritual readings" were affecting the people that were involved. She's a very sensitive and inquisitive child and one that I grew attached to while reading the story. The main thread of grief that was woven throughout the story and how people go through that process differently and how the thought of contacting your loved one will make you believe in just about anything!What I didn't like: the story started out a bit slow for me, but I never wanted to jump ship. Personal thoughts: After my mom's mother passed away, my mom was obsessed with contacting her through some sort of medium. No one in the family would really talk to her about it except for me. I was more than willing to take my mom to see John Edward, but she never did get the courage up to buy the tickets. I'm sure plenty of people told her that it was all fake and what not, but much like the characters in this story, my mom NEEDED closure and ACHED for just one more minute with her beloved mother. I wanted that for her more than anything...even if it came from a charlatan. Recommend? This book has me sitting on the fence a bit because you sort of have to be in the right mood for this one. It's a well-written story and that's what kept me turning the pages. I stayed connected to Emily and it was my need to know how her story turned out that worked for me. If you're a fan of Amy Einhorn books then you will indeed enjoy this one. I think she publishes quality stories and this one is no exception. I heard about this book through the FirstReads giveaways awhile back and put it on my to-read list. The title is great, the story sounded interesting, and now that I finally checked it out of the library to read... well, it was a little disappointing.Emily and Michael are 13-year-old twins; after Emily discovers she can make a strange noise with her ankle, they decide to capitalize on this talent and put on shows in which they supposedly communicate with the dead, her invisible ankle trick the method of communication. Soon, adults in the area hear about Emily's talent and begin to ask her to communicate with their loved ones who died in WWI. Emily obliges and thinks she's giving them some closure they wouldn't get otherwise but begins to feel guilty about the trick she's playing on them. Also interspersed with this main plot is a side one in which secrets from their family tree begin to be revealed, some told through flashbacks and other through Emily's snooping and questioning.It took me at least a quarter of the book to get into the story - before that, it all felt like very slow-paced backstory. I debated a few times whether or not I should even finish this, ultimately making my way through the entire thing. I think the main problem, for me, is that while the writing is fine, the pace is super slow. This does, admittedly, reflect the pace of the life around them and how bored the twins are with the summer, but it doesn't exactly make for the most captivating read. Everything unfolded so slowly that it often felt as if nothing was happening - and what was happening did not completely capture my interest because of this. Also, I didn't find the characters particularly engaging. The most well-rounded character was their neighbor, who isn't in a whole lot of the book, but he was far more interesting than any of the main characters. I think I enjoyed the premise a lot more than the actual book. My imagination did not take off and I was only marginally interested in the subplot about their ancestors. The flashbacks featuring their ancestors felt like a completely separate plot from the main one and took me out of the story even further - not exactly a good thing, considering how I was never fully into the main plot in the first place. I finished the book and basically thought, "Well, I'm done with that." Overall: meh. One day in 1925, 13 year old Emily Stewart discovers that she has an unusual ability – she can secretly crack a joint in her ankle that sounds like a mysterious knocking sound. Emily and her twin brother Michael decide to put on little performances for the neighborhood children and convince them that these “spirit knockings” are coming from a teenage girl who drowned nearby several years before. Word of these spirit knockings spreads and soon adults wanting to connect with dead loved ones of their own are asking for sessions with Emily and Michael. The twins agree and soon they are in over their heads trying to help adults deal with real grief issues, guilt and family secrets.At the same Emily and Michael are conducting the spirit knocking sessions and discovering the family secrets of some of the adults in town, Emily is discovering that her own family harbors secrets in its past as well by secretly reading a scrapbook her mother has put together and by talking to her nanny (who was Emily’s mother’s nanny as well.) The book flashes back to these earlier time periods in Emily’s family history as she is learning about them.This book is more than just a creepy ghost story. It’s about lies – the lies we tell ourselves, the lies we tell others and whether or not it’s ever okay to deceive someone. And it’s about grief and guilt and how those two emotions are intertwined and at times inseparable. This book had so many layers and was really well-written. It’s another fantastic offering from Amy Einhorn books. I really liked it and highly recommend it. I really liked the concept for 'The Girl Who Would Speak For The Dead', and I enjoyed the era in which it was set. While mainly taking place in 1925, the novel did backtrack a bit to include stories from the early 1900's and well as the late 1890s. I did not however, enjoy Paul Elwork's novel as much as I thought I would. After all the hype that surrounded the book on it's release I was excited to see how the novel would turn out, but I was quite disappointed. The ending I found extremely unfinished, and I was left asking questions about all sorts of events and characters. The main character Emily is quite likeable, and fortunately so are the other main characters; her twin brother Michael, their mother and their housekeeper. I didn't feel the story went anywhere in the end, I was waiting for something to happen, perhaps Emily and Michael would stumble upon some supernatural activity while playing their game, 'spirit knocking', but nothing happened. While I liked that every so often the novel changed to a different era, and another generation of the family to hear a different story, it did get confusing keeping up with all the characters in Emily and Michael's family – their grandfather, grandmother, great-grandfather, great-great-grandfather etc. I like Paul Elwork's style, and I found the writing lovely to read, but I really disliked that the story didn't really go anywhere. The Girl Who Would Speak for the DeadThis is not a ghost story; it's about lies and the living ...Reviewed by Heather StoneAuthor: Paul ElworkPublisher: Murdoch BooksPublished: April 2011Price: AU$29.99Format: Paperback 310 ppCategory: FictionCan you, or do you know anyone who can crack their knuckles, or perhaps their toes? I could once crack my big toe joints quite loudly. This question is relevant just in case you were expecting a good gothic horror, or a spiritualistic drama. The story is not really about materialisation of the spirits of the dead at all. It is about lies and the living, and the lengths to which ordinary people will go to suspend disbelief in an attempt to assuage grief.Paul Elwork, in his first full length novel, has taken as his inspiration, the real life and rather fascinating story of the three Fox sisters of Arcadia NY in the 1800s who became renowned spiritualists, strongly responsible for the growth of spiritualism across the States, until the shocking confession by one sister, Margaret, that two of the girls had been faking ‘ghosts’ since ages 8 and 12 respectively; followed by full scale ‘fraud’ under the direction of their older sister for many years. Their story, well summarised on Wikipedia, is quite fascinating. What a scandal it must have been in its day.In Paul Elwork’s book, the principal characters are twins, Paul and Emily. It is the school holiday period during the summer of 1925. Emily has just had her 13th birthday and discovered that she can crack an ankle joint with a knocking sound without visible movement. Having first successfully fooled her twin, the game grows from their first dual practice effort on a vulnerable child to running séances for all the neighbourhood children creating dramatic histories for fictional ghosts. As the word spreads, the game becomes far more serious as it escalates into provision of a focal point for grieving adults, so shortly after the conclusion of World War 1, who are wholly convinced of the children’s authenticity.Paul is pragmatic with an eye on the main chance, but Emily, much more empathic, researches family histories, photos and memorabilia … uncovering the bones of the past so to speak. At the same time that she is putting her newfound knowledge to good effect in the spirit rapping séances, she is also becoming immersed in the dramas and characters of the past, and in their inter-relationship with the present. There are times when she almost convinces herself that the spirits she manufactures are real and that she is bringing contact and real comfort to the living, but unfortunately, or otherwise, her only true ghostly encounters are the goblins she sees in her dreams.Elwork, through a series of flashback chapters, tells us the sad history of the wealthy Stewart family between 1872 and 1925 and up until the death of the children’s father, a medic in World War 1. He links these to the survivors and the townspeople and demonstrates vividly how deep grief never loses its need for closure. I doubt there are any of us who cannot empathise with this. Tragedy is predestined and inevitable from the beginning of the book, and nobody emerges from the experience as quite the same person.The book itself is a gentle and bittersweet read, told from Emily’s viewpoint that lures you into the situation and relies heavily on its excellent characterisation. Within the simple storyline many smaller vignettes are encapsulated, some resolved satisfactorily and others, somewhat annoyingly, with threads left blowing in the breeze. The author grew up with a strong interest in horror stories and fantasy and was an early reader of Lord of the Rings and Stephen King, but stopped believing in ghosts himself by around 15 years of age. This intricate story is less about ghosts and more about how ultimately destructive lies can be, even when apparently meant to be doing good. It holds the reader through to the end although it left me with a feeling of melancholy when I finally laid it down. The cover of THE GIRL WHO WOULD SPEAK FOR THE DEAD promises a creepy, atmospheric, perhaps Gothic tale. It conjures up seances, spectral sightings, restless spirits - all those delicious things that a tale of the supernatural promises.Until you realize that this is not a supernatural book at all. Rather, it is a slow-moving, not very interesting book about 13-year-old twins, Emily and Michael. Emily discovers a talent for cracking her ankle bone in a way that makes it difficult to detect the source of the sound. She and her brother set up a hoax among their friends that Emily is able to speak to the dead, including their dead ancestor who drowned tragically. Before you know it, word gets out and Emily is summoned by adults who are desperate to reach out to dead loved ones. Emily's trick is fairly simple: the marks ask the dead a question, and Emily cracks her ankle once for No, twice for Yes.Meanwhile, the book goes back and forward in time, exploring the house's history and the family that built it (nothing too spectacularly interesting, there) and the twins' mother's interesting relationship with a man who was once the close friend of their dead father, a doctor who died in World War I.This book's heart is in the right place; while one of the twin's motives is somewhat opaque, the other uses her "power" to try to help people in their grief, until her conscience won't allow her to trick people any longer. This leads to somewhat disastrous consequences in the book's contrived denouement. There is an interesting subplot about a professional charlatan who is trying to bring Emily under his wing (it's creepily unclear what his motive is), but not much is done with that. Overall, though, I left the book with the sense, "Oh, this is LITERARY FICTION, where nothing interesting happens, but there are lots and lots of pages of description and subtleties." Overall, I can't really recommend it, but it may be a good read for people who like to read about adolescents and their behaviors.If the book had been about the twins' mother, Naomi - by far the most interesting character in the book - it would have been much better. The description of the story and the cover of the book led me to believe that this novel was going to be kinda creepy, maybe spooky.Maybe they start playing with Ouija boards and a bunch of demons take over? Maybe they really talk to a ghost? Perhaps they become possessed and kill all the adults?No. Nothing. Nothing creepy, nothing spooky, nothing. Total letdown.The book starts out strong. It's summer vacation, we all remember how boring it could be at times. Too old to play with toys, too young to actually drive somewhere. The author does a great job with the kids and describing their summertime melancholia.The middle of the book was strong as well, the kids are fooling not only other kids with their spirit knocking, but also some adults. Things start to get kind of interesting, but also things start to fall apart.There are far too many family secrets going on. Old secrets, one newish secret. The old secrets are vague and boring. All of the ancestors are too similar. They got confusing; hard to keep them straight, and there didn't seem to be a payoff at the end for knowing their secrets anyway.And the denouement? Had more to do with the next door neighbor's family than with the main characters' family. Then the story went on a bit longer after that when really it should have ended with summer vacation ending and not stretched on to the new school year and then 20 or so years into the future.Like I said, it started out really strong, and I was hoping this would be a kind of New England rich kids version of To Kill a Mockingbird, and don't look at me that way, you can't write/read a coming of age story about a brother and sister during summer vacation and not think of To Kill a Mockingbird.Strong start, pretty strong middle, too many uninteresting, unproductive ancestral flashbacks, flat ending. 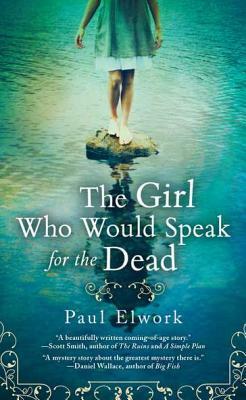 The Girl Who Would Speak for the Dead by Paul Elwork	This was a rather creative idea put into writing, and turned into a fun and entertaining read! The book is about a scheme two precocious thirteen year old’s concoct to entertain, and spook the neighborhood children, by convincing them that the main character, Emily, can contact the dead. Like most childhood schemes, adults eventually find out, and Emily finds herself in predicaments deceiving adults and learning some of their deepest secrets. It is told from a thirteen year old's point of view, for the most part, with some historical flashbacks, as Emily begins to uncover some of her own family secrets. The book was not exactly what I thought it would be about, instead it was more about family bonds, secrets, deceit, love, and lessons learned. Though, the title and description may have been a bit misleading, I will admit, I thoroughly enjoyed the book and read it in one afternoon. I love being surprised by books I normally would not read! Review by Tim Gleichner"Oh, what a tangled web we weave..." The first part of that quote seems quite an appropriate place to start the review of "The Tea House" by Paul Elwork. The story concerns a set of twins, Emily and Michael Stewart. While their family is well-to-do, their home life is a bit mysterious and at times I sensed a bit of sadness. Emily discovers she has a unique "talent" one day, and initially has some fun with it. But once her twin, Michael, discovers her secret, he convinces Emily to expand their performances to include friends of theirs. Eventually, word of Emily's talent gets out, and Emily and Michael are drawn into the adult world, where their audiences are more than curious. And when adult curiosity about Emily's talent is mixed with genuine desperation/grief, the ending is unpredictable and shocking. This book is extremely well written. Mr. Elwork does an excellent job of developing the story and bringing together characters in the story and the story itself in equal portions, so that the farther along the book goes, the more characters and circumstances fit together, giving the reader a more detailed understanding of the story. The characters of Emily, Michael, and Mr. Dunne are extremely well developed. The detail given to these characters made it quite easy to conjure a picture in my mind as to what they might actually have looked like. This book held my interest from beginning to end. I liked the story line and the author's writing style makes this a very easy read. And here are answers to the author questions: Who are you influenced by as an author? The list is long, as I guess it is for everyone. I love the works of Kurt Vonnegut, James Salter, Alice Munro, John Irving, F. Scott Fitzgerald, Raymond Carver, Jhumpa Lahiri, Nathaniel Hawthorne, Flannery O'Connor, Charles Dickens... and on and on. And like any writer, my debt to them is immeasurable. Do you plan on writing a sequel to this book, or do you have something else in the works? I don't have any plans for a sequel to The Tea House, but I do have another novel in the works, this one set during the early days of the Holocaust in Germany. I'd say more, but that would be telling.This book was published by Casperian Books, a small, independent company that publishes fiction. It is a single-member limited liability company that publishes fiction and operates out of a chaotic home office with some help from the other occupants of the house and a few hearty volunteers. To view their other books, please click on the link above.A copy of The Tea House will be raffled off to a reader the first week of February. Please visit the website at www.uponfurtherreview.org and sign the guestbook under this book. Your name will be entered in the drawing.Winners will be announced on the website under Raffle Winners. Good luck and have a great day! ~~Sigh~~ The Girl Who Would Speak For The Dead. Love the title. Love the cover. Love the book? No. Deep like yes, but love? No. I would have loved it at 14 but not at 14 + a couple decades. The genesis of the storyline is compelling. It's summertime 1925 and thirteen year old twins Michael and Emily are b-o-r-e-d. They have the luxury of boredom. Their family is well off and they have acres of freedom to enjoy. During the course of their idleness Emily figures out that by bending her ankle just so she can make a wonderfully fierce knocking sound. That's the kind of thing that can amuse a kid all day. Michael and Emily think they have found a way to make that amusement last the summer. Why not frighten the local children with conversations from beyond the grave? They could have a seance with Emily's ankle as ventriloquist for the dead. Their jump from bone cracking to the buried is a natural one. Their much loved Father was killed in The Great War and the shadow of that loss engulfs their household.The twins enjoy scaring their friends but as their performances become more elaborate they attract the adults in the neighborhood. Soon their bilingual skills are taken out of the nursery and put into the drawing room. In a time when so many were still mourning loved ones lost in the War, Michael and Emily find themselves in demand by grieving grown-ups. Michael is thrilled by the attention and power it presents but Emily is uncomfortable and confounded by their new found importance, by the desperate needs of the adults. As the whole charade spins out of their control Emily becomes intrigued by the family secrets her "powers" are unearthing. There is more than one strength in author Paul Elwork's writing. Emily's transformation from selfish child to sensitive teenager and coming to terms with her conflicting emotions regarding her and Michael's deceptions are mapped out in a believable and interesting fashion. Elwork's descriptions of the grief his characters are experiencing are realistic without being sentimental and contrived. The atmosphere that Elwork wraps around the novel from the lazy heat of a boring summer to the uncomfortable intensity generated by the twins' performances for the suffering is all beautifully rendered.The Girl Who Would Speak for the Dead is a well written coming of age novel, but as I said before not for someone my age. I am going to pass it along to my 15 year old niece and I know that she will love it. The problem for me is the novel doesn't take that next step from telling the reader the story and telling the reader all about the characters to allowing the passion and precision of the writing to let the reader discover the those things. Michael and Emily are thirteen-year-old twins. When Emily shares with her brother that she can make a haunting knocking sound with her ankle without visibly moving it, he starts to think they could use this talent for something. So they start small "communing to the dead" in front of some of their friends; then to some older ladies who find them a complete delight. All too soon though, Emily sees that there may be repercussions for pretending to speak for the dead.This books didn't really seem to be about a whole lot. Maybe I just didn't get it, I don't know. I mean it was fascinating that Michael and Emily did this whole spiritualist thing and all. I feel like this book was pretty much just about dead people being dead and some of the terrible ways they died. I mean no one ever actually sees any ghosts throughout the whole book and no one talks to them. It was very disappointing. I just expected it to be a lot creepier and ghosty. I know that it's based loosely on the Fox sisters, and they never saw any actual ghost, but still. I did like the twins and how odd they were. Emily's internal dialog and curiosity were fascinating at times. I wish there was something more shocking in their family history or anything at all. It was interesting learning about the little snippets, but ultimately lackluster. Mostly the whole time I was reading this I was waiting for something to happen. Some things did happen, but none worthy of my intrigue. All in all this book was a huge disappointment for me.First Line:"The girl who would speak for the dead stood alone on the cobblestone drive after the rain. "Favorite Line:"For all she could see, the trees may as well have sprawled away from the Delaware in a vast and continuous forest out to the Atlantic Ocean, a forest full of all the stories told by people leaving broken arrowheads along the river; living stories that clung to the trees in the same way things waited in the earth; stories upon stories falling backward in time to the sea." Not great, but definitely not the worst book I've read recently. It's creepy, a fact that stems not from ghosts but from long-hidden family secrets. The novel is loosely based on the Fox sisters, who started "spirit knocking" in the mid-nineteenth century and played a large part in the creation of the spiritualist movement. The story of the Fox sisters fascinates me, which is why I picked this up.The Girl Who Would Speak for the Dead takes place in 1925. Thirteen-year-old Emily Stewart has discovered that she can crack a joint in her ankle and make it sound as though the noise is coming from the air. Her twin brother Michael decides that they should put on spirit knocking shows to scare the neighborhood children, claiming they are contacting their dead ancestor who drowned in the nearby river. However, soon the children start telling their parents and grandparents about what they've seen, and these adults dealing with the devastating effects of WWI want to experience the phenomenon for themselves and reach out to the people they've lost.I think my biggest problem with this book is that it didn't live up to its potential. Given the premise, it could have been much more interesting, fast-paced, and creepy than it actually was. Shortly before reading this I read The Séance by John Harwood, which deals with a similar subject but is much more engaging and well-written. Because of that, I would definitely recommend reading Harwood's book before this one. I am disappointed in this book. I haven't looked at any other review previous to my own, as I want to see if my view is in sink or out of sink with others. Sometimes I need validation but in other instances like this, Ill stand on my own and check for validation later. Why is this a big deal with this particular book? First, I wanted to love this book. I just knew it would be right up my reading alley. I took the book title and its cover only and ran with it. Next, the story seemed to be taking me down a path, I thought for sure I would love.My synopsis of the book: This is a coming of age story. At 13 years old, twins Emily and Michael are rich, imaginative and highly intelligent. One day, Emily discovers an interesting talent. Something she can do with her body. That something, allows her to fool others into thinking ghosts are in the room. Her brother runs wild with this and starts inviting friends and neighbors over to contact their deceased loved ones. Only Emily and Michael know the truth. That the long dead are not actually contacting anyone. The kids take this so far that when Emily tries to tell the truth, she wont be believed.I was so bored, at times, and totally lost. I hoped for the story to evolve, but to me, it just stayed stagnant.I did enjoy hearing about the life and times of the people in the Edwardian era but I didn't come for that. I came for the ghosts, I came for something that would never happen. That is my own fault, I judged the book by its cover. I must learn not to do that.This book was just plain old boring. I've really been into the ghost books here lately for some reason. This one was...interesting. It didn't blow me away but I am definitely interested and hearing what else the author can come up with. I think the main problem I had was with the MC. I just never connected to the main character and that's something that turns me away from a book fairly quickly. The concept was great and the prose was beautiful, but I just felt so "out" of the story almost the entire time I was reading. But I ended up liking the flow of the story overall.Oh, also - the title reminds me' so much of Speaker for the Dead. I really miss Ender. Looking forward to more from this author!Thanks to Goodreads and the publisher for this Firstreads book! Shortly after their thirteenth birthday (in 1925), Emily and Michael start holding seances (for lack of a better word) with the neighborhood children. Emily's found that she can crack her ankle in such a way that nobody can see it move and it sounds like a knock. They call them "spirit knockings" and the children all agree to not tell their respective parents or family members. But, of course, that ends up not being true.I really enjoyed this story, which is a combination of a family saga (there are several flashback chapters about the twins' ancestors) and a coming of age story. I can't condemn Emily for pretending to be able to contact the dead---she does it out of a desire to help people; she's not making fun. But wow, such a cruel thing to do.This is such a creepy story, too---while the seances are fake, ghosts are all over this story. Recommended. What a fabulous new book! Spooky and smart, Elwork has a gift for description that draws you in to this story, which has the feeling of an old classic, reminiscent of "Rebecca" by Du Maurier. This is a ghost story for people who don't believe in ghosts anymore. Touches on big issues without shoving them in your face. Loved it! This was an easy read, but there were two stories that were interwoven. I thought the second one was more interesting than the first. A ghostly atmosphere with no ghosts and no action. Real life is more exciting! Loosely inspired by the true story of the Fox sisters (whose actions kickstarted the 19th century Spiritualism Movement), author Paul Elwork mixes things up a bit by telling a similar story but from a brother / sister perspective. At the novel's start, in the year 1925, Emily and Michael are thirteen year old twins living on the family's East Coast estate of Ravenwood. After losing their father in World War 1, the children are often left to find their own ways to keep themselves occupied throughout a day. Michael is described as a bookish loner who "before his 10th birthday had discovered that he could not tolerate most people well," while sister Emily is creative, curious, and inventive. Emily becomes captivated by the family story of Great Aunt Regina, who died in the late 1800s (only 16 years old) when she had a fall near the riverbank. She's now said to haunt Ravenwood. Around this time of Emily's budding interest in the paranormal, she also discovers a trick where she can make her ankle crack on command. This becomes the basis for Emily and Michael's "spirit knocking" gatherings, which start with just the neighborhood kids but quickly catches on with the local adults as well. Michael becomes the team's hype man, crafting ghost stories inspired by all his reading. When they get into doing readings for the towsfolk, the twins claim to use the ghost of Great Aunt Regina as their spirit guide. Once adults mourning loved ones lost to WW1 seek the twins out for solace, what starts as a game soon turns to some quite a bit more serious. Sherlock Holmes creator Sir Arthur Conan Doyle, who became quite a prominent follower of Spiritualism, gets a brief mention in this book. In regards to the paranormal theme, there is nothing particularly spooky or scary here, which is largely why my reading experience was ultimately somewhat disappointing. While there is a definite poetic flair to Elwork's writing style, the overall tone just had steady note of sadness throughout the whole plot. 2.5 stars. I liked this book until the final chapter. The atmosphere, characters and their stories, and the stories of 4 generations of a family dealing with grief were all intriguing. I was dissapointed that none of the stories (from each generation) had a strong ending to tie them together better or to give them a stronger impact. I especially disliked how in the final chapter, the author switches to 1st person perspective (several years passed) with Emily wrapping things up. It would have been much better if it ended that night with some profound revelation. What a shame. This could have been so much better. This was a beautifully written book which will be too slow moving for some, but it's the kind of book a reader needs to take some time with. I enjoyed it very much, all except for the character of Mary, the black servent who did not have much of a role except as the wise sage who guides the Emily, the teenaged white main character. The ending was fantastic though, and the book had many beautifully expressed thoughts about life a mortality. This book has quite a few negative reviews but I feel it's because if falls into a very atypical category. Both haunting and beautiful this books follows the story of twins and their attempts to find and make sense of the world around them. Ultimately it deals with grief and lost love and really surprised me with its depth and incite on how complex life can seem when we are still young. It's not fast paced or your typical historical novel but is worth the time to read. Very good story! I recommend this book . just like??? boring as hell?? ?